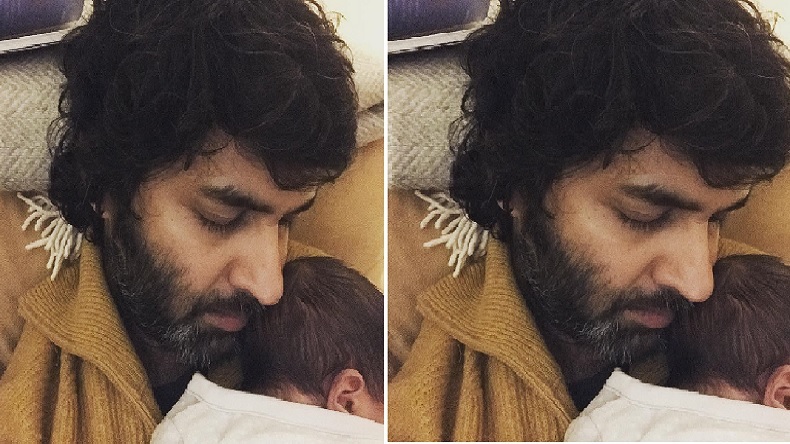 A popular video jockey Purab Kohli has shared the first photograph of his baby boy Osain Nur on Instagram. Purab Kohli and Lucy Payton were blessed with a baby boy on social media. The photograph is simply an adorable one as father-son can be seen sleeping. A popular video jockey Purab Kohli and his wife Lucy Payton who have been blessed with a baby boy has shared his first photograph on the social media. Sharing the good news with the fans, an elated Bollywood actor took to his Instagram to share the first photograph. The photograph is too adorable to miss on the Internet today. The actor can be seen sleeping along with the kid. Although the face of the kid has been hidden, however, this glimpse has made it worth a million. The actor has named the kid Osian Nur. The couple exchanged their wedding vows in an intimate ceremony in Goa. The couple will be celebrating their first wedding anniversary on Saturday. For the uninitiated, Purab and Lucy already have a 3-year-old daughter named Inaaya. P.O.W. actor has shared a photograph of his daughter Innaaya where little kiddo’s feet can be seen before the initials written in yellow of Innaya (I) and Osain (O). Purab Kohli is quite active on the social media. Apart from his personal photos, he likes to click nature related photos too. Check out more photos from his album. Finally flying into some #blue with a spate of bumpy #Monsoon flights. The actor made his television debut with the popular show of the late 90s called Hip Hip Hurray. Later, her appeared in various popular shows. he also anchored the music talent hunt show, Sa Re Ga Ma Pa Singing Superstar in 2010. On the work front, Purab was last seen in 2017 movie Noor. The movie starred Sonakshi Sinha in the titular role. He also appeared in P.O.W. – Bandi Yuddh Ke, Airlift and Rock On 2.